Today’s guest post is by Rebecca Lush of Curate Your Own Adventure. Before visiting Mexico in 2015, my understanding of Mexican food was restricted to make-at-home Tacos and microwave nachos. Needless to say, my journey from Mexico City to Playa Del Carmen opened my eyes to the diversity of Mexican cuisine and the richness of Mexican culture. During my three week tour of the country I tasted some truly remarkable food and occasionally went behind-the-scenes to see, for example, how chocolate and Mezcal are manufactured. 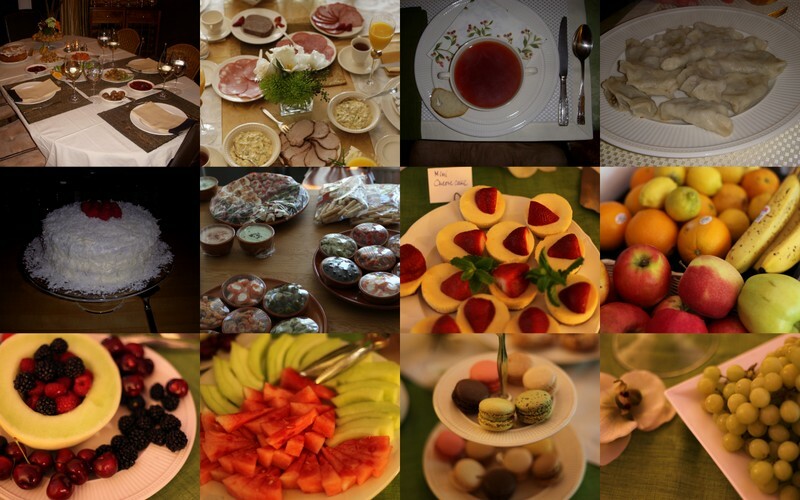 All of the food was delicious in its own way but some experiences were more memorable than others. After flying and being in transit for 21 hours, the first thing I wanted to do when we landed in Mexico City was to go out and eat. After dropping our bags at the hotel we went straight to a local food market in Alameda Central Park. I was instantly overwhelmed by the different smells and the sheer number of people. I had no idea what to try first or what half of the words even meant on top of all the food stalls. I probably chose the most unadventurous food in the entire market – a corncob. We left the market determined that once our tour began we would try as many new foods as possible. We were extremely lucky our tour guide for the entire three weeks was writing his PhD on traditional Mexican food at the National Autonomous University of Mexico. He promised that food would be central to our tour. It seemed too good to be true. The next four nights we were in Mexico City were filled with amazing tortillas, quality tequila and, for the first time in my life, I was able to eat cactus. If I had to describe what that tasted like I’d probably say something quite bland – similar to lettuce. We also tried different foods from street vendors including tacos and tostadas. I was content to leave my culinary adventures there. Everything on my to-eat list had been ticked off and my stomach was most certainly full. 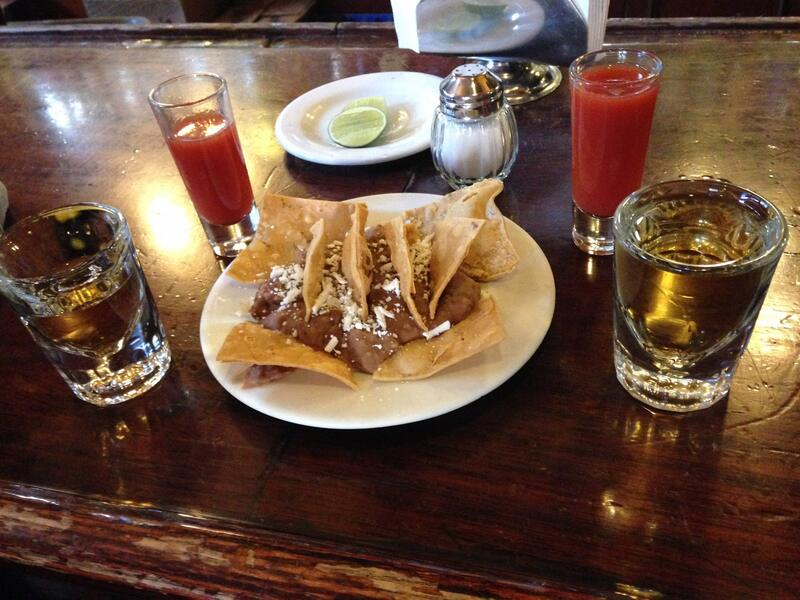 Tequila and Nachos in Mexico City. Little did I know the tastiest thing I have ever had in my life was just ahead of me in the town of Puebla. During our guided walk of the city that took place at approximately 3 pm we were intrigued to see a street filled with very happy school children. We soon discovered the street is affectionately known as the Street of Sweets (Calle de los Dulces). Every shop lining both sides of the road sells an abundance of candies and chocolates. It was quite an experience to see hundreds of children running from store to store with exhausted looking parents following behind. One store in particular though had us all puzzled. It was by far the most popular on the street yet it seemed to sell fruit. We had to try whatever was in store. The apples in the window were covered in tamarind and rolled in Chamoy sugary crystals. You ordered an apple, some accompanying fruit, and a sauce. The flavours were unbelievable. It was sweet, sour, tangy, and bitter all in one taste. By the time we left town, some three to four serves later, we could definitely understand why apples were selling just as quick as the chocolates. The incredible apples in Puebla. Following Puebla, we drove through a cactus-dominated landscape to reach Oaxaca. Not eating chocolate to leave room for apples was rectified in this city. Every little doorway in Oaxaca leads to something beautiful. Behind one of these doors was Cafe Brujula, home to the Oaxaca’s Mexican hot chocolate. If you visit I recommend the combined chocolate and chili version. After morning tea we headed off to lunch, a tour of a local chocolate manufacturing store. Nestled between market stalls in Mercado de Artesanias was Chocolate Mayodomo. Here you can truly experience the entire process of making chocolate. From the cacao bean to the chocolate bar, we were able to witness each stage and taste the chocolate along the way. This did involve eating 100% chocolate which was too intense for my taste buds. The locals in the shop were very amused by our reactions and showed us the best way to eat the authentic chocolate. Small quantities at a time and letting it rest in your mouth. It did taste slightly better, but I was more inclined to buy some milk chocolate in the store to eat later. Enjoying a chocolate and chili hot chocolate in Puebla. A final highlight for me was our side trip to a Mezcal factory between Oaxaca and Tehuantepec. I use the term factory quite loosely. It was more a traditional production workshop not a large industrial factory. Once cactus leaves have been cooked the alcohol can be drawn from the plant. I will never forget the strong smell of a cooking cactus. Seeing how traditional methods were still being applied to produce this distinct drink was well worth the detour. What impressed me most about Mexican food overall was the balance between traditional and modern. Take Chicken Mole (chocolate chicken), a dish served very differently depending on the region. Even modern restaurants in the cities were true to the authentic flavour of the region and served their dish with pride. The tastes of Mexico went far beyond anything I expected. Having the opportunity to meet locals involved in the food production processes added another amazing layer to our cultural experience. In the words of journalist Dana Goodyear, “food is a lens for culture.” Through its food, I learnt Mexico is a vibrant, diverse, and exciting country that has a distinct and appetizing flavour. Rebecca Lush is a Senior Content Creator for the online travel magazine Travelling History. She also writes for her own blog Curate Your Own Adventure: https://curateyourownadventure.wordpress.com/. Her favourite travel destinations include, but are definitely not limited to, North America and Germany. When she’s not travelling, Rebecca is completing her masters in museum and heritage studies at the University of Sydney, Australia. Follow her on Twitter @LotteNaughton.